Mix together sugars, cinnamon, and salt.In another bowl beat together egg white and vanilla until just before soft peaks form. Stir almonds thoroughly into mixture.Stir almonds into the sugar mixture until all are coated well.Spray your crockpot with non stick spray.Add nuts to crockpot and set on low.Stir every 20-30 minutes for the next 2 hours. After two hours, add the water to the nuts and stir very well. Cook for 1 more hour, stirring after 30 minutes. Spread almonds so they can dry.Allow the almonds to completely cool and dry. Store them in a airtight container. 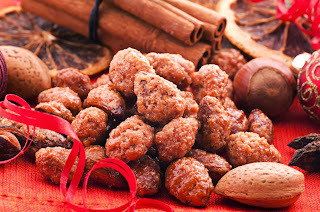 We hope this recipe will help you enjoy the Holiday Season!! Happy Holidays from the Fran Campbell Team!! 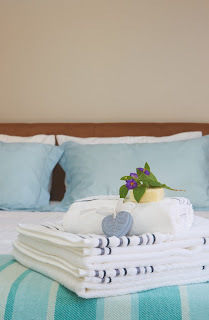 It's that time of year when many people are traveling for the Holidays - will you have guests in your home? If so, the best way to be a great host is by simply providing a space that is comfortable and clean. Here is a great check list of items to focus on to make sure your guests not only arrive happy but also leave happy. This year is the 29th year for the Lake of the Ozarks Christmas Parade!! The weather is going to be a bit cold but it is a always a fun event for the entire family! The parade will be led by the Marine Corp League Honor Guard, followed by the Grand Marshal and Santa & Mrs. Claus. Casper the semi-truck will be lit up with over 2,000 lights delivering smiles and treats to young and old alike. You can also enjoy the Corvette Club, School of the Osage Marching Band and much much more!! The parade will depart from HWY 242 at 1pm on Saturday, December 14th. Santa is scheduled to arrive at the White House to greet children, collect wish lists and hand out stocking filled with treats. The event is free of charge but will be filled with Holiday Cheer. We hope that you will make it out for this great event! 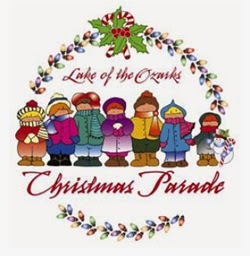 For more details check out the Lake of the Ozarks Christmas Parade website! Happy Holidays from the Fran Campbell Team!! 9 Lots for Sale in Cameron Estates in Osage Beach! "Chestnuts roasting on an open fire, Jack Frost nipping on your nose...."
I can't help but sing along every time I hear that song... but this year, I decided to go a step further. 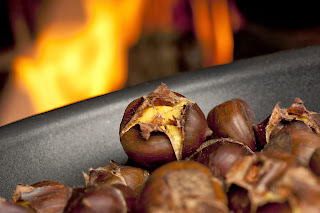 I may sing the song, but I can't say that I have ever actually roasted chestnuts on an open fire! So I decided to do a little research to find out what all the fuss was about! I was surprised at how easy it really is AND that no open fire was even necessary! Check out these simple steps! !